Royal Icing is an absolutely beautiful medium and incorporates a wide range of skills. 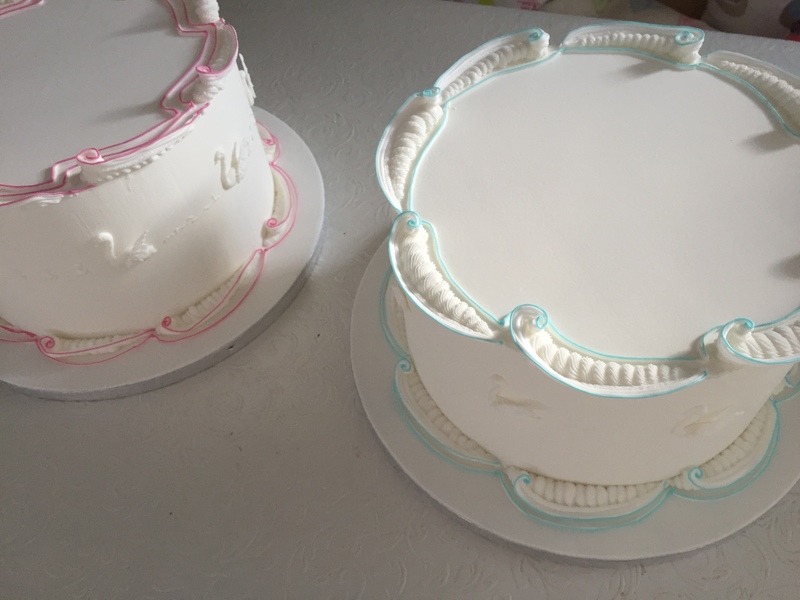 This style of piping is ideal for wedding cakes, birthday cakes & christmas cakes. This beginners class is ideal for those wanting to start cake decorating or for those who would like to brush up on existing skills. Once you have completed this course, you will have the necessary skills to move onto some of our more complex courses such as Borders & Collars, Brush Embroidery and Pressure Piped Flowers. Karen, our fantastic Sugarcraft expert will teach you a range of skills starting from how to make Royal Icing, how to coat a cake and various Piping skills. At the end of this interesting, practical course, you will have a cake dummy to take home and practise your new found skills. All recipes, guides and lecture notes will also be provided and there is no need to buy any equipment as we will provide you with everything you need to use during your course. Call us on 01474 816659 or email us at info@fruitcakefactory.co.uk to book your space. Learn all about different piping nozzles. Learn how to alter the consistencies to suit the style of Icing you require. Learn how to do overpiping. Be the first to review “Royal Icing Introduction” Click here to cancel reply.